An Iranian shipment of advanced surface-to-surface missiles confiscated off a Gaza-bound vessel by the Israeli military on Wednesday could have put millions of Israelis within target range of Gaza terrorists, according to an Israel Defense Forces spokesperson. “This indeed would have been a gamechanger in the hands of Gaza terrorists,” IDF spokesperson Lt. Col. Peter Lerner told reporters on a conference call organized by the Israel Project on Wednesday. Lerner said the M302 rockets intercepted by the IDF had the ability to reach 160 miles outside of Gaza. 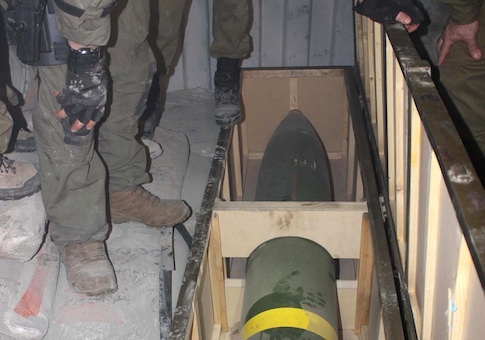 The spokesman said the Israeli military is still going through the shipment, but has already discovered dozens of these rockets hidden within cement in cargo containers. The missiles were manufactured by Syrian authorities and flown to Tehran, said Lerner. Iran then attempted to ship the cargo through Iraq in an attempt to obscure its origin, he said. The arms ship was confiscated en route to Sudan, where Lerner said the shipment would have been rerouted to Gaza.